Monaghan's Darren Hughes. ©INPHO/John McVitty. The 32-year-old has been ruled out of the Farney County's Ulster SFC campaign after breaking his ankle during Scotstown's league meeting with Ballybay last Sunday. 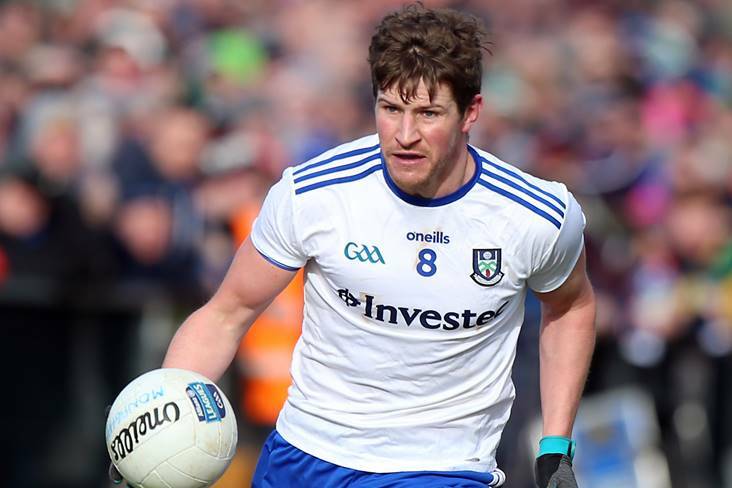 "Initially, Darren thought it was his knee and then you're dreading the news that it's cruciate, but it turned out to be his ankle," the Monaghan manager told the Irish News. "It was bad news and a big blow, but at least it wouldn't be his season over; hopefully not for the county or club. It's a serious blow to us because he's been a massive presence for us this year, a massive leadership presence since we've been here. "We've lsot a few players around the middle of the field. It's definitely one we could have done without."